You can purchase advance tickets online for the SLICE event you’d like to attend up until 24 hours prior to the event by clicking the “ADD TO CART” button on this SLICESTORE page. Advance purchase is $17 per family per event. You may also be able to buy a ticket to a SLICE FAMILY NIGHT at the door on the night of the event when the doors open, which is usually at 6:00PM, for $20 per family per event -- UNLESS the event has already sold out by then. When an event is SOLD OUT, it will be posted on the SLICE Family Night Facebook page and also on the SLICE page on this website. Please read the TERMS & CONDITIONS below associated with your purchase. By purchasing a ticket, you agree to abide by the the terms and policies contained therein. If you are purchasing tickets for someone else, their use of the tickets you purchased indicate their agreement in abiding by the terms and policies contained therein. You may pay with any of the major credit card types: Visa, MasterCard, American Express or Discover. A PayPal account is not necessary to purchase tickets. PayPal is merely the financial institution that processes the credit card payments -- you do not need a PayPal account in order to purchase tickets. You can simply use your credit card in the same way you do when you buy anything online. If you do not want to use a PayPal account, when it asks you to log in, click on "Don't have a PayPal account?” to continue payment with your credit or debit card. Please be aware that the PayPal account is registered to Art on the Corner's non-profit conduit, English Evangelical Lutheran Church of the Good Shepherd. Your credit card statement will reflect this. ALL ADVANCE TICKET SALES ARE FINAL, NON-REFUNDABLE, AND NON-SWITCHABLE TO ANOTHER DAY REGARDLESS OF THE REASON, which includes accidentally buying tickets to the wrong event or buying tickets to an event for a date you will not be able to attend, whether due to a work schedule conflict or a family emergency or other. All sales are final, non-refundable, and non-switchable to another date except in the event of a SLICE Family Night being canceled or rescheduled. PLEASE NOTE: If you wish to purchase tickets for multiple families or for multiple dates, each ticket must be purchased in a separate transaction. We apologize for any inconvenience. All advance tickets purchased online are “WILL CALL” only. No actual tickets are mailed and there is nothing to print out either. If you buy advance tickets online under your name, your name will be on the “WILL CALL” list at the door on the night of the event. All that you will need to gain entrance is your photo ID. If you are purchasing tickets for someone else, please insert their name into the “Reserved WILL CALL Name” box when adding tickets to your cart. You will be able to enter different billing information for payment. Also, when checking out, please check the box indicating a different shipping address and add the information for the person you are purchasing tickets for there. This is the name that will be added to the “WILL CALL” list. See below for Order Information and SLICE FAMILY NIGHT Policies. By purchasing tickets, you agree to abide by the terms and policies noted below. All transactions will appear as English Evangelical Lutheran Church of the Good Shepherd on PayPal and on your credit card statement. You can purchase advance tickets online for the SLICE event you’d like to attend up until 24 hours prior to the event by clicking the “ADD TO CART” button on this SLICESTORE page. Advance purchase is $17 per family per event. You may also be able to buy a ticket to a SLICE FAMILY NIGHT at the door on the night of the event when the doors open, which is usually at 6:00PM, for $20 per family per event -- UNLESS the event has already sold out by then. When an event is SOLD OUT, it will be posted on the SLICE Family Night Facebook page and also on the SLICE page on this website. If buying tickets for a group of families: please purchase each ticket in a separate transaction. All advance tickets purchased online are “WILL CALL” only. No actual tickets are mailed and there is nothing to print out either. If you have bought advance tickets online under your name, your name will be on the “WILL CALL” list at the door on the night of the event. All that you will need to gain entrance is your photo ID. If you are purchasing tickets for someone else, please insert their name into the “Reserved Under” box when adding tickets to your cart. You will be able to enter different billing information for payment. Also, when checking out, please check the box indicating a different shipping address and add the information for the person you are purchasing tickets for there. This is the name that will be added to the “WILL CALL” list. When you enter the SLICE FAMILY NIGHT event, the name on the “WILL CALL” list is matched to your valid photo ID to gain admittance. Only the person whose name is on the “WILL CALL” list will be allowed admittance to the event. The person requesting entry to the event must be the same as the person named on the “WILL CALL” list. Name changes are allowed. To learn how to request name changes to the “WILL CALL” list, scroll down. All advance ticket sales are final, non-refundable, and non-switchable to another date regardless of the reason, which includes accidentally buying tickets to the wrong event or buying tickets to an event for a date you will not be able to attend, whether due to a work schedule conflict or a family emergency or other. All sales are final, non-refundable, and non-switchable to another date except in the event of a SLICE Family Night being canceled or rescheduled. If an event is canceled, you may choose to switch the tickets to an upcoming SLICE Family Night event that is not SOLD OUT, in place of the canceled event. If you opt to not switch the tickets to another event, you may ask for a refund. Switching dates and refunds must be requested within 14 days of the date of cancellation or you forfeit rights to switch the date and forfeit the right for a refund. If an event is rescheduled to a new date, your original transaction will be applied to the new date. If you opt to not attend the event on the rescheduled date, you may ask for a refund. Refunds must be requested within 14 days of the date change or you forfeit rights to a refund. The criteria for refund rules when changes to an event have occurred is dependent on when the tickets were purchased. If you purchased the tickets to an event after those changes already occurred, no refund is warranted. You are responsible for entering the correct information, such as the correct name for the “WILL CALL” list. The name on the “WILL CALL” list is matched to a valid photo ID in order to gain entrance. You are also responsible for proper identification. If lack of proper identification causes you to not be allowed to enter the event, this does not entitle you to a refund. You may pay with any of the major credit card types: Visa, MasterCard, American Express or Discover. A PayPal account is not necessary to purchase tickets. PayPal is merely the financial institution that processes the credit card payments -- you do not need a PayPal account in order to purchase tickets. You can simply use your credit card in the same way you do when you buy anything online. If you do not want to use a PayPal account, when it asks you to log in, click on "Don't have a PayPal account?” to continue payment with your credit or debit card. Name changes to the “WILL CALL” list are allowed and it is a very easy process – e-mail artonthecornerbr@gmail.com more than 24 hours in advance of the event and request a “WILL CALL” name change. Only the person who purchased the tickets or whose name is on the “WILL CALL” list can initiate such a request. The “WILL CALL” list is then edited with the new name, and that person will now only need his/her valid photo ID to gain entrance to the event. 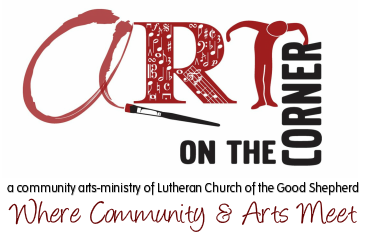 Again, name change requests must be e-mailed to artonthecornerbr@gmail.com 24 hours prior to the event in question. A confirmation that the change has been made will follow. No name changes will be accepted on the same day of the event. Any name change requests must have been received and confirmed by the day prior to the date the event is to take place. What to do if at the last moment you cannot make it to the event but would like someone else to use your tickets?As there are no paper tickets, for same-day name changes, the family you designate to use the tickets you purchased need to be accompanied by the original buyer or the person who is named on the “WILL CALL” list – or – the family using your tickets needs to bring a copy of the original buyer’s ID or the ID of the person who is on the “WILL CALL” list. In summary, to request a name change on the "WILL CALL" list, e-mail us at artonthecornerbr@gmail.com to change the name on the “WILL CALL” list 24 hours or more before the event. On the day of the event, as there are no paper tickets, the original buyer or the original person you noted on the “WILL CALL” list needs to accompany the family that will be using the tickets, or provide them with a copy of an ID, to gain entrance to the event. You also grant to the right to edit, use, and reuse said products for non-profit purposes including use in print, on the internet, and all other forms of media. You also release the Art on the Corner and English Evangelical Lutheran Church of the Good Shepherd and its agents and employees from all claims, demands, and liabilities whatsoever in connection with the above. Our Commitment To Your Privacy - Your privacy is important. To better protect your privacy the following notice explains the information we collect and how it is used, and how to contact us if you have any concerns. What Information Is Collected - As part of the order process, the following information may be collected: Name, Shipping/Billing Address, Email address, Phone number. How That Information Is Used - The information we collect is only used to fill orders, to contact you if there are questions, issue refunds if needed, or to send e-mail with special event news. If you have any questions regarding advance tickets or about tickets you already purchased, contact us directly at artonthecornerbr@gmail.com.